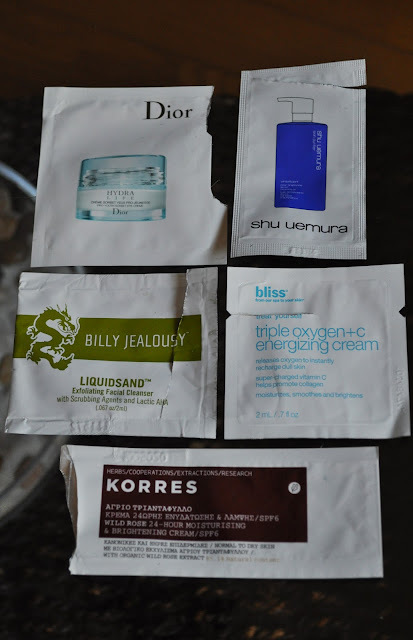 So Lonely in Gorgeous: Running on Empty: August Empties! Running on Empty: August Empties! Redken Smooth Down Conditioner: is one of my all-time favorite conditioners. I was on the Redken website and saw it has been discontinued and replaced with Smooth Lock. Based on the reviews I read from the website, many people are NOT happy with the change. I've yet to try Smooth Lock, but I'm starting to feel a little panicked...if it doesn't workout, I'm going to have a major hair crisis! Tsubaki Head Spa Conditioner: I rotate between this and the Damage Care line conditioner; it leaves my curls looking smooth and defined. N4 High Performance Hair Care: This was a gift from the amazing Ari from a passionate obsession. I really liked this reconstructive masque and I'll definitely repurchase. 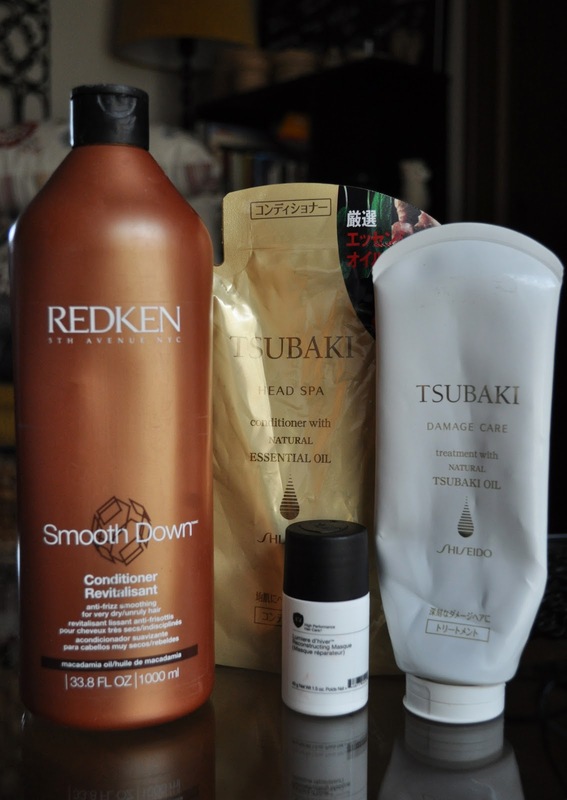 Tsubaki Daage Care Treatment: This is a great conditioning treatment! I use it once a week, and my hair loves me for it! Always repurchase. L'Occitane Honey & Lemon Delightful Cream: I enjoyed this body cream, but it too has been discontinued. L'occitane Olive Tree Organic Radiance Cleansing Foam: Another discontinued product, and I understand why. 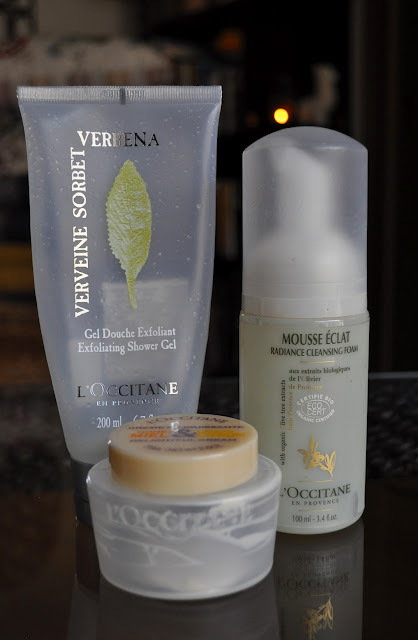 I love using foaming cleansers during Summer, but this cleanser was torture to use. It did a good job at cleansing, but I noticed no "radiance", and the scent was awful, god awful!! This is the first product from L'Occitane that I've disliked. Sebastian Laminates Drops: It was a tragic day for hair when this line was discontinued. I LOVED the Laminates line. I stocked up on these babies, but I'm down to my last three bottle. Sebastian Laminates Gel: This is my FAVORITE product for curly hair! Just like the Laminate Drops, I stocked up on cases of this hair gel. I purchased any size tube I could get my hands on. Chanel Precision Sublimage Eye: This is a good eye cream, but I'm not sure I'd repurchase. 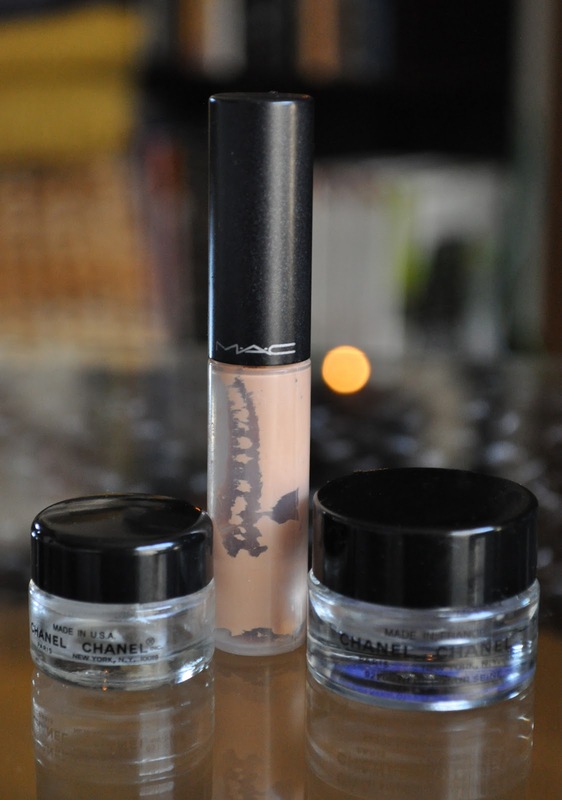 MAC Select Moisturecover: This is a great under-eye concealer, and I will always repurchase. Chanel Precision Sublimage: A good face cream, but just like the Sublimage eye cream, I'm not sure I'd repurchase. Honorable mentions: I have a bag full of samples, so my goal is to use everything up. Dior Hydra Life Pro-Youth Sorbet Eye Creme: I was able to get five days used from this packet. After five days, it didn't do much to moisturize, and I found it to be too heavily perfumed. I can never understand the purpose of adding fragrance to an eye creme? I probably won't buy it in the full size. Shu Uemura Whitefficient Clear Brightening Gentle Cleansing Oil: I recently purchased some items from Shu and the SA gave me a bunch of these sample cleansing oils. I got two uses out of this packet. I'd purchase a full size of this oil cleanser. Korres Wild Rose 24-Hour Moisturizing & Brightening Cream SPF6/ For normal to dry skin: I like the way this moisturizer felt on the skin, but I don't think I'd purchase a full size in the near future. 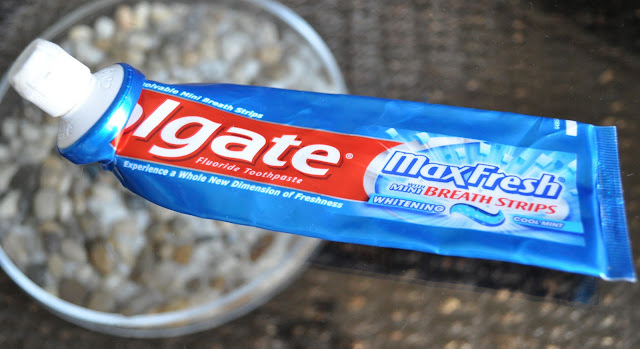 What did you use up in the month of August? 1st: I am so happy you liked the hair mask!!! 2nd: I can't believe you have a Costco there!!! I loved the hair mask!! Thank you!!!! And we do have Costco here, but they're all pretty far. 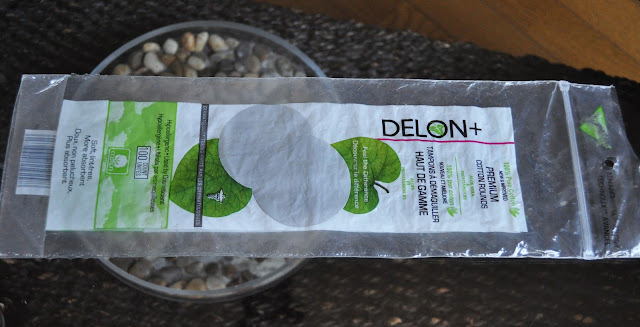 I love the leaf-shaped soap as well, great on the knees and elbows! 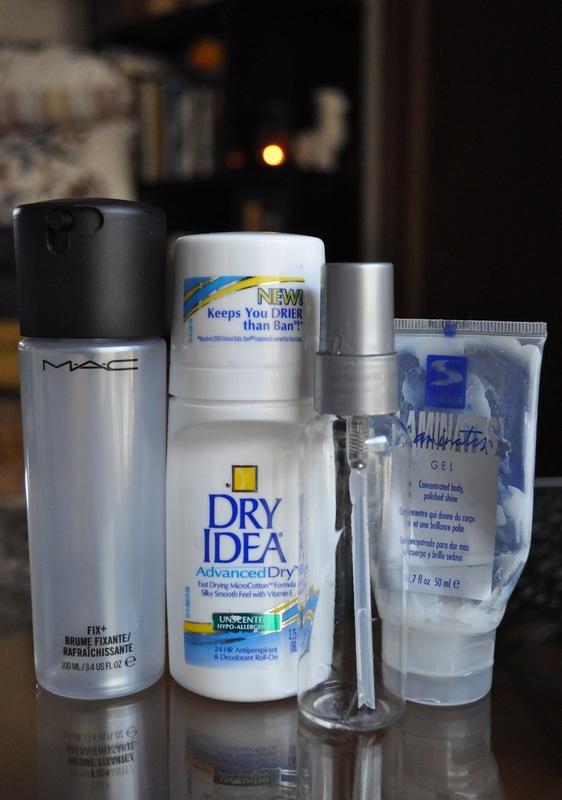 I love reading empties post, especially when they include new-To-me brands. Thanks for sharing. I sustained very happy that I originate this website. I want to to thank you for these far-fetched figures!! Looks like a pretty good product men skin care . Thanks for the giveaway and review! Glad to be of service Christopher. Becca's Friends & Family Event! Do You Know The Way to Dior's 'Saint-Tropez'? Having an Ookla Hair Day!